I wrote an article for Team Evergreen Cycling newsletter about planning a bike trip to Europe. Monica Kurtz, who manages the team's newsletter, had contacted me about writing for the newsletter. When I read the results of a recent Team Evergreen survey showing that second on a list of interests was riding in Europe, I volunteered to write about that topic. The project is like trying to condense my entire blog into one article, so I decided to write a four-part series. Part I: So You Want to Ride in Europe? 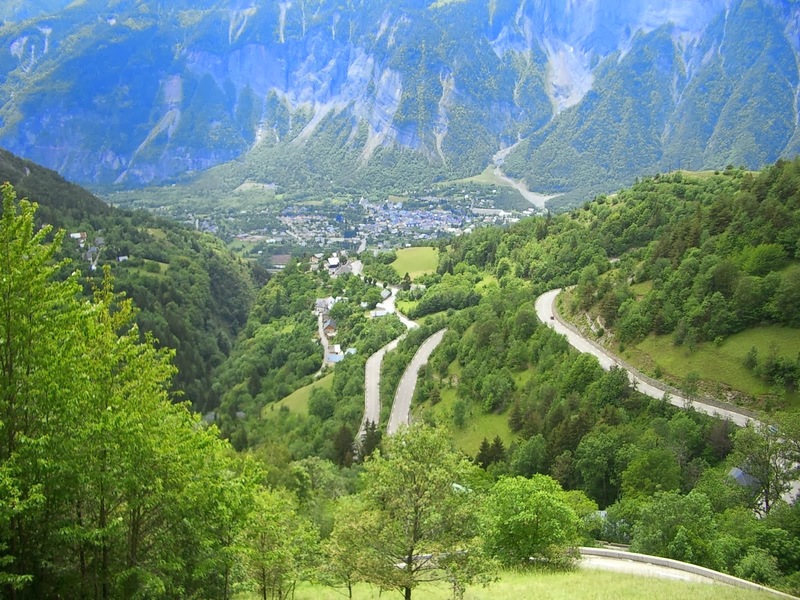 Cycling in Europe is a dream that can become reality. This is what riding a bike in Europe is all about. I write a cycling travel blog called Pedal Dancer and in this piece I offer tips and encouragement for you to complete what will become a very possible thrilling, worthwhile bike trip to Europe. I first traveled to Europe thirty-two years ago. I also lived abroad in SE Asia for five years. For twenty-five years I have been enamored with adventure travel, ever since my first such trip down the Mahakam River in East Kalimantan, Indonesia. For the past thirteen-years my passion has focused on cycling trips to France, Italy and Belgium, but mostly France. I have been to the Tour de France six times. I have learned a lot over the years, and like any well-seasoned traveler, much has been learned through mistakes. More has been learned through hours and hours of studying maps and scouring the Internet, most has been learned by simply getting out and doing it. If cycling in Europe has been a dream of yours as well, I am here to offer the encouraging words of you can do it. 1. What has always captured your interest about riding in a foreign country? 2. What are the Top 3 things you really want to do on your bike trip? 3. Who will you be traveling with? 4. Will you plan your trip yourself or will you join an organized tour? 5. What do you know that you truly dislike about travel? What has always captured your interest about riding in a foreign country? Be honest with yourself – do you want to ride 110-miles a day and bag every peak on the continent? Or do you want to include time for food and culture or other sports? Tip: What can you picture yourself doing on this trip? 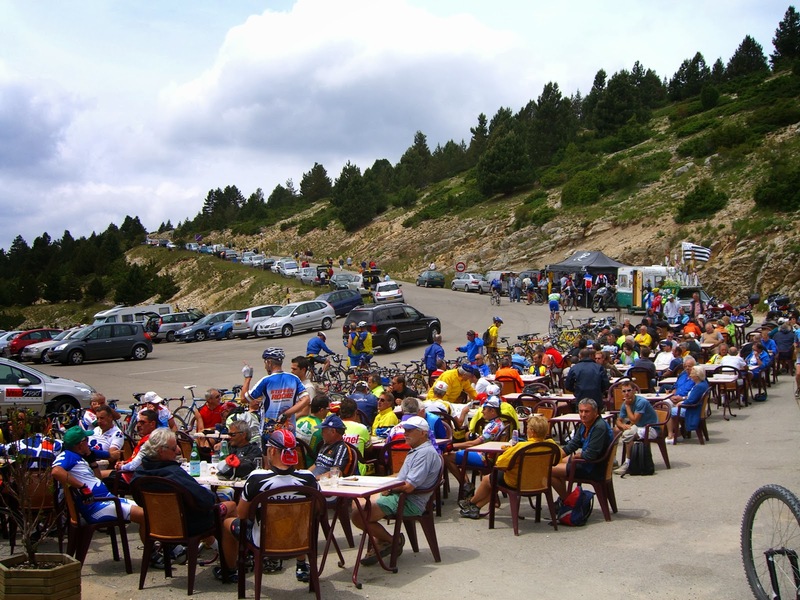 Conquering an epic ride, sitting at a cafe table having a beer after a good ride, trying to learn some French before your trip so you can order dinner for the table, or perhaps you have envisioned yourself standing in the mass of fans along the road at the Tour de France. Just as we set annual cycling goals – knowing your personal travel goals before your trip is very important. What are the Top 3 things you really want to do on your bike trip? Each traveler should state their personal Top 3 things they would love to do on their vacation. No one is allowed to say, “I’m good with whatever,” that is being a non-participant. No one should – or would truly – put down a couple thousand dollars and want whatever. Everyone has expectations and these should be voiced. Once you have a list – know that it is easy to make sure that everyone’s Top 3 are met. Much of travel is about expectations, and also flexibility. It is good to understand that the whole is often better than its parts, so don’t stress out about every detail. Tip: I plot out each Top 3 on the master itinerary and then begin to fill in the gaps. It is a nice way to tend to every participant’s needs, and your own. 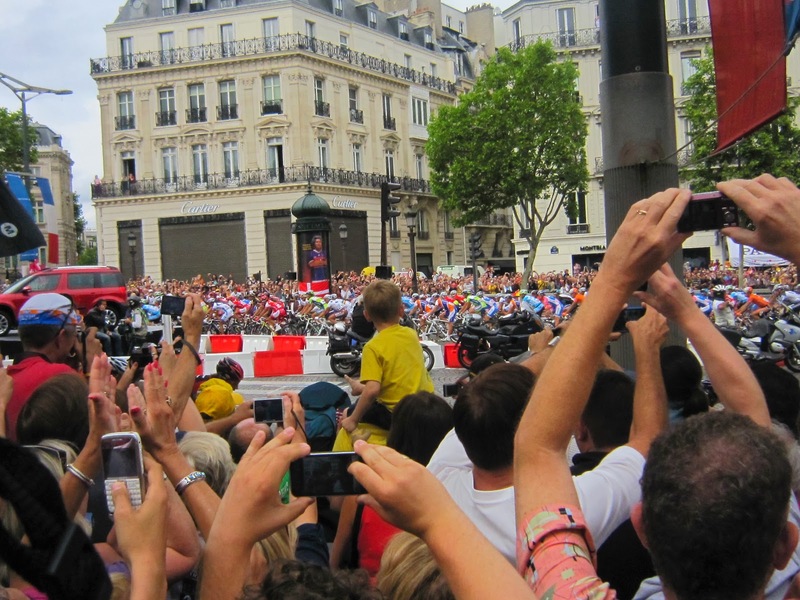 Tip: If you plan to attend a big bike race while in Europe (Tour de France, Giro d’Italia, Paris-Roubaix, etc. ), then two to three days of being a fan at these big events is enough. I wouldn’t recommend trying to see stage after stage. Make time for your own bike rides, your own spontaneity, your own Top 3. Tip:Keep it simple. For years I wanted to be one of those fans I saw huddled along the barriers in the rain at the Tour of Flanders. My dream wasn’t to cycle, my dream was to be with those people. So that is what I did – I was on the sideline on the Oude Kwaremont. Everything else during that trip to Belgium (riding, beer tasting, Paris-Roubaix) was icing on the cake because I accomplished my one simple goal. Tip: Be creative with your Top 3; consider a scenic drive, a hike or city walk, a museum, music, local market, wine tour, recommended restaurant, cultural festival – you know all those silly things Rick Steves lists in his travel guides. These activities make a vacation feel well rounded as a tourist and promise good memories. Tip: A great activity to include in your itinerary (or center your trip around) is participation in one of the many cyclosportives (cyclo sportif or gran fondo) citizen rides. These very challenging timed event rides are more like races for the thousands, and very popular in Europe. Pick your travel companions carefully. People have drastically different expectations of what Europe means to them. The people on the trip determine your priorities, car rental size, hotel flexibility and quality, level of physical activity and most importantly – mood. Tip: A non-cyclist who enjoys exploring small towns or taking hikes while you are out riding a bike can be a tremendous asset for shuttling riders and collecting snacks from local markets. Tip: Independent, flexible, adventurous travelers who tend to see the glass as half full will come in very handy when plans suddenly go awry or change. Tip: Have a communal wallet or credit card for all expenses. Fund the account before you go and settle afterwards. Tip: Be sure to share emergency contact lists among group members. Tip: You will definitely need to train to ride well in Europe, but any level of cycling can be found in Europe. Don’t be intimidated. If you don’t want to take on the 15-17% sections, destination lunch rides can be just as pleasurable. 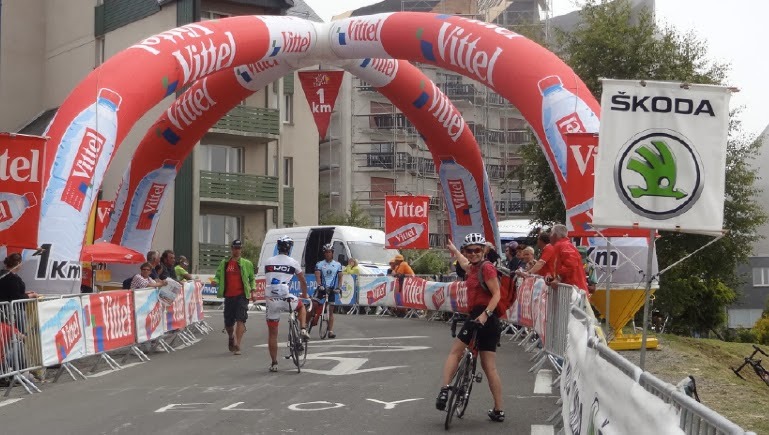 The numerous cycling tour companies cater to all levels of ability and have support vehicles. Will you plan your trip yourself or will you join an organized group? When it comes to planning you have three options: 1) Do-it-yourself, 2) Share the duties within the group, 3) Join an organized tour group. Let me warn you that Option #1 offers the most control but demands hours of planning. When I say hours I mean 60-140 hours, depending on how complex your itinerary is and how much you will need to learn about an area. Option #2 involves an approach of splitting up duties between the travelers in your group. My brother has a group of friends who have traveled together through various countries. They split up the trip by days. This can also be done by region or by type of activity (sport, hotel, restaurant, car rental, etc.). The planning load is divided, but this approach takes excellent communication between members to make sure the puzzle pieces fit together. Option #3 requires that you give up almost all control because you must meet the tour group’s arrival and departure times and towns. The tour guides tell you what you are doing and when. This option is great for those who have no time or interest in planning. Tour operators are pro at what they do and have learned from their own past mistakes, continually improving upon the product. You benefit from their wisdom, plus the people who run these tour companies are near saints. If you want to witness good people skills – they got it in boatloads. The down side of Option #3 is that it will cost you big bucks. By big bucks we are talking $450-$1300 a day. Tip: I read itineraries by the Bike Tour Companies for ideas in timing (how much is too much) and recommended rides, even hotel suggestions or the cities where they prefer to stay or visit. Tour Companies are a valuable shortcut in planning. Tip: I compile all my dates, reservation info and links onto an excel spreadsheet, building the itinerary day by day. Parts of this file can then be compiled and left at home for loved ones with contact information and travel plans. Tip: Option #1 and Option #3 above can be combined. You could enjoy a few days on your own, join a tour group, and then travel more on your own. I did this on a cycling tour to Tuscany, Italy, and was able to enjoy Florence and Sienna before and after my guided bike tour. Tip: Out and back trips are a great way to keep hotel reservations simple. You can travel with your bike inside the car (keep it covered well with a blanket; roof racks are scarce in Europe) and start your bike rides from different locations returning to the same hotel or bed & breakfast. Tip: The decision to bring your own bike or rent a bicycle will greatly influence your travel flexibility and even the airport you select, so this should be one of your initial decisions in the planning phase. What do you know that you truly dislike about travel? Vacation is a time to be enjoyed regardless of travel goals, so don’t force yourself into something you know sets your twizzle twirling. Am I right? If you like business class – fly business, even if your friends only have miles enough for coach class. If you hate traveling by train, then fly all the way to your destination. If you hate the congestion of big cities – stay in the green countryside even if you won’t find any Michelangelo sculptures nearby. If you need time alone to regenerate – let everyone know you need to walk alone to get a morning croissant. Tip: Packing light is super important when traveling abroad, but be sure not to skimp on cycling jackets or leg/arm warmers and gloves. Nothing will spoil a dream ride faster than being unprepared for cold weather. It’s better to bring one of everything rather than four of the same. I have some packing lists and packing tips available at PedalDancer.com under the France Cycling page. Tip: Read about customs, road signs, and travel details prior to your trip. Learn at least basic greetings in the language of the country you will be visiting. Tip: Sort out your communications at least two-weeks prior to traveling: international phone, GPS device, adapters and cords, and a PIN credit card if possible. I have some informative travel posts available at PedalDancer.com under the France Travel page. Traveling to Europe is expensive. Sorry. The days of the dollar have passed. You can expect about $250-$400/day solo, less if traveling with one companion, even less if traveling with a group – but as your group grows so too does the wine or beer consumption, so add some more back in. The longer you stay the lower your cost per day because airfare costs are spread out, but hotel, food, car, and gas costs continue to add up. A 9-to-14-day cycling trip is just right. With the euro, it will feel like you are adding about 20% to the cost of everything. Although car rental is reasonable and bus travel is not outrageous, gasoline and trains are expensive, as well as air travel. The closer you are to big cities or Switzerland – the higher your costs. You can find a variety of hotels at the same prices as in the U.S. but the quality varies much more. Camping is also an option and inexpensive gear is available for purchase from large sporting chains. Remember most international luggage is limited to 50lbs per bag. Tip: Miles! You can use your flight miles and credit cards points for air travel, hotels, car rental and more. Tip: Always consider the cost to include your bike case as luggage when booking airfare because luggage costs are not included (and range from $75-$300 one way). Bags and bike cases can really raise the overall price of your transportation (although you may be able to write off the travel cost later depending on your credit card perks). Tip: Save on restaurants. I often eat a simple breakfast or eat at the hotel/B&B/chambre d’hote, if included. I snack for lunch (on the bike), or enjoy a nice 3-course lunch (cheaper than dinner) at a restaurant on non-ride days. For dinner I will picnic with a nice bottle of wine, buying supplies from a local market. I usually only have one or two nice dinners out and several simple salad and pizza nights. Tip: I try to pick moderately priced hotels run by local mom & pop sorts – they offer a good feel and often give excellent hospitality and local tips, plus they may have bike storage space. The exception to this rule is booking a hotel room upon arrival, or prior to departure, near airports. In this instance always go with a big chain for a better location. If I book a hotel room at any point during the trip – I always look for clean, simple and modern. Trust me on this one, you can’t smell those elaborate upholstered hotel rooms while booking online, plus those hotels are not the places where bike riders belong. I do like to splurge on a nice hotel for a night or two in special locations. 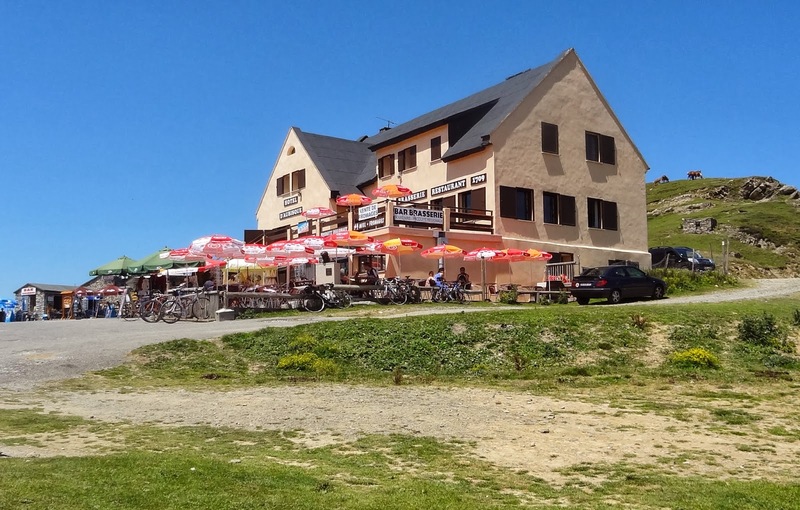 Tip: Gites or apartments are good options if you plan to stay in one location for a week or so. You will save on food costs and feel like a local. 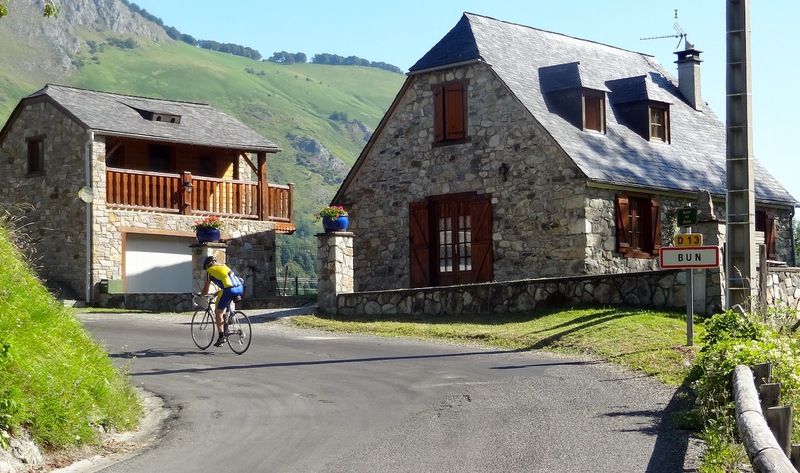 Tip: Look for cycling lodges or hotels that offer half-board. Half board means that breakfast and dinner will be included with your hotel room rate for an additional amount per person. They are often good deals with good food. Stay tuned for more travel tips on how to plan your cycling adventure to Europe and where the most popular rides are located. All photos by Karen Rakestraw Pedal Dancer®, or Mike Rakestraw. Thanks to Monica Kurtz for editing this article and selecting which photographs to include.